This gorgeous ca 1890's bodice is made from a silk with a black strip and embossed dots on the ivory. 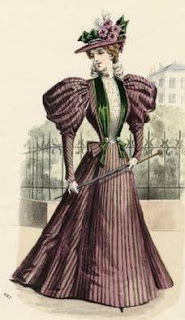 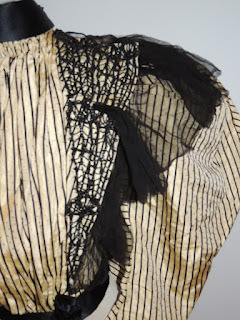 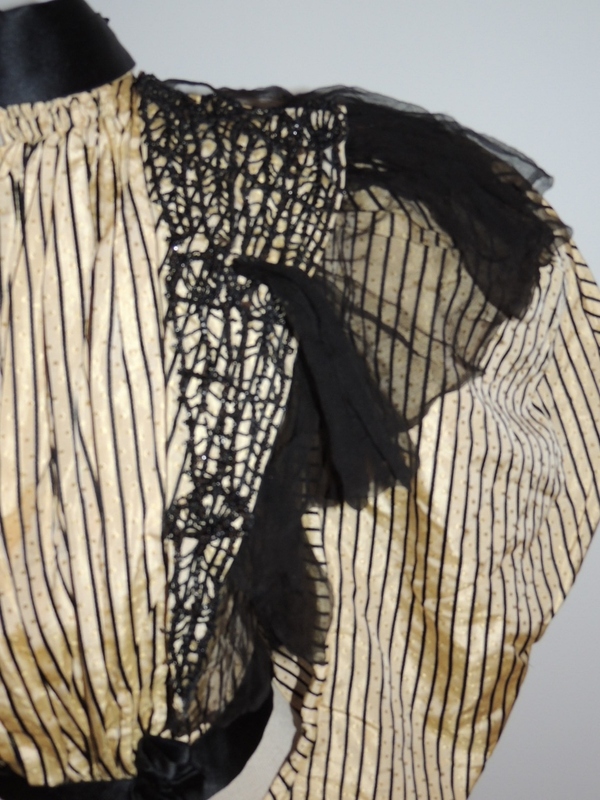 It has a silk chiffon ruffle around the neck, the lapels are covered with black beaded passementrie. 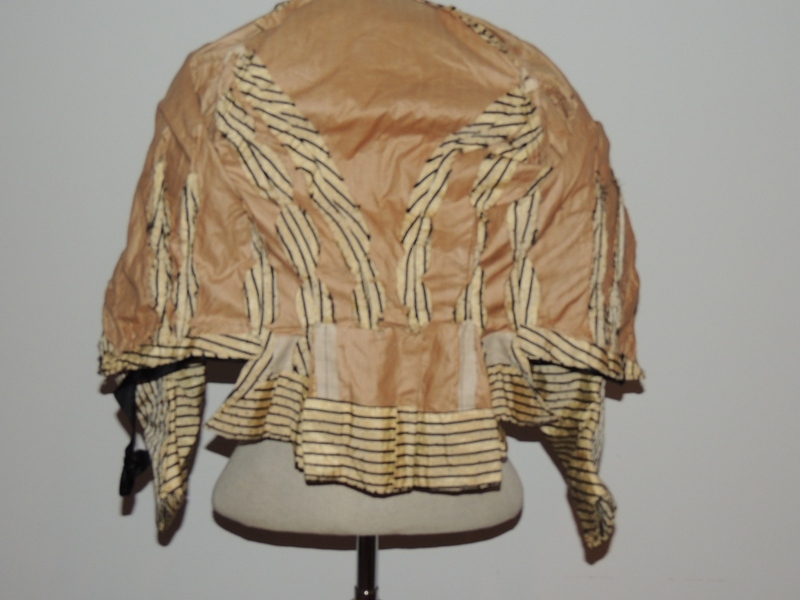 It's lined in tan cotton and hooks down the front. 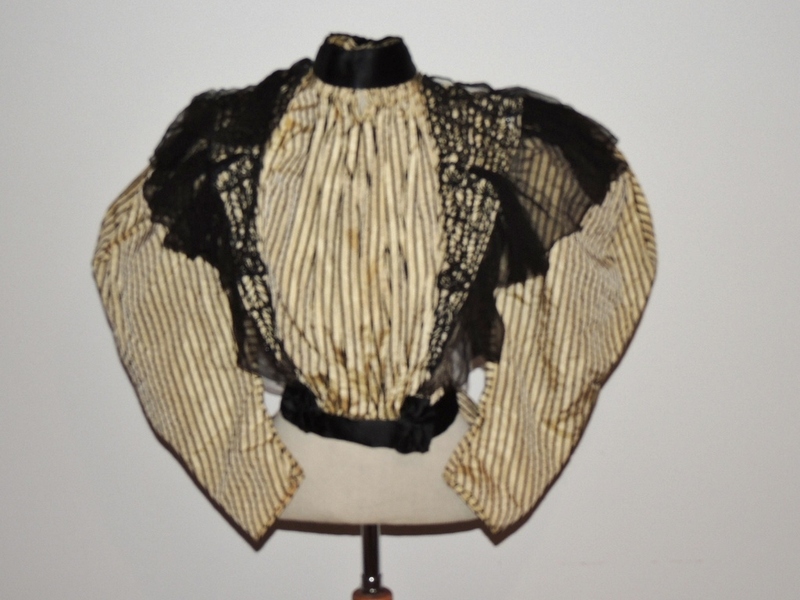 It has a high black, stiff collar with a bow in back. 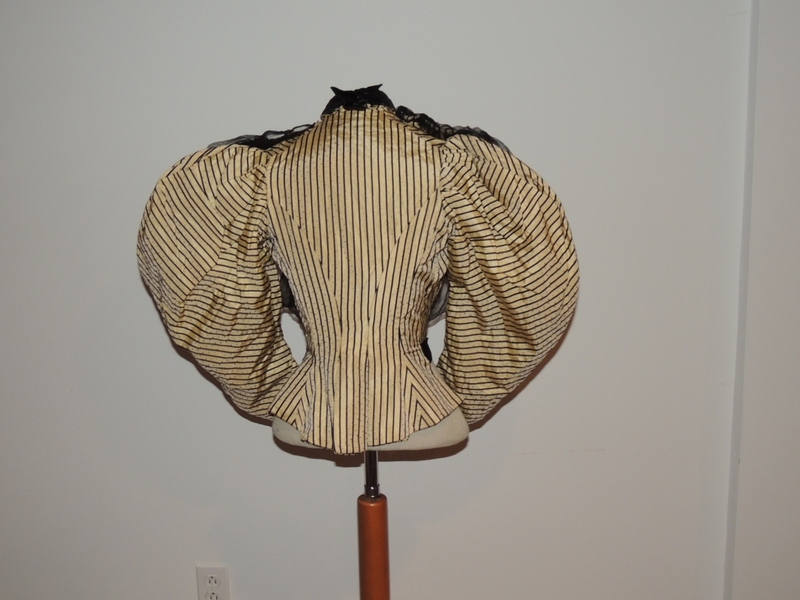 The back is gored hanging below the waist with 2 box pleats in the seams. 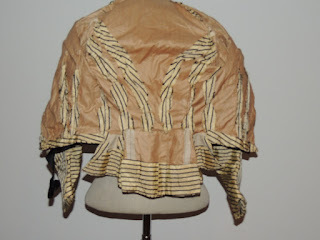 Underarms are excellent, it has some stains on the bottom of the sleeves, there's an interfacing between the layers of the sleeves to hold the puff of the sleeve, it feels like it's disintegrating, there's a few holes on the sleeves toward the wrists and 2 spots on the center front panel. 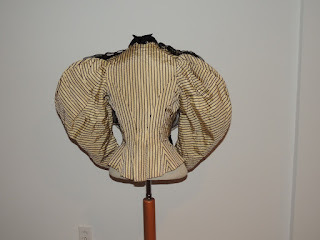 It measures 34 iches around the bust, waist is 24 1/2 inches, across the back shoulder is 10 3/8 8inches and from shoulder to center front bottom is 18 inches.Good condition.